1. Question: After I plug the USB cable on the moon light and outlet, how do I know whether it is charge or not ? 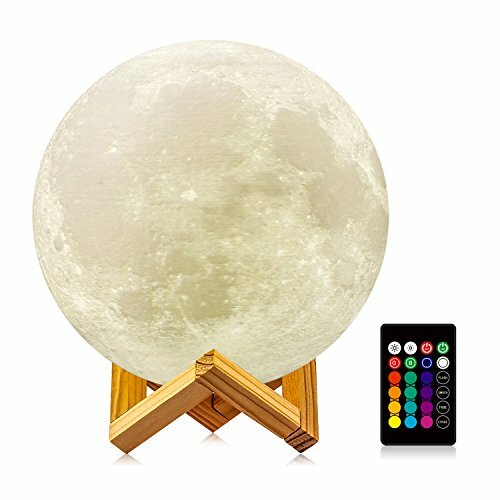 2 .Question: Can I adjust the brightness of the moon light by touch switch ? Answer: No. Adjust the brightness of the moon light color can only be achieved by remote control.Touch switch can only change the color, not light brightness. WE OFFER 12-MONTHS WARRANTY FOR OUR MOON LAMPS! If you have any questions about this product by LOGROTATE, contact us by completing and submitting the form below. If you are looking for a specif part number, please include it with your message.